Happy Lunar New Year! Year of the Monkey! 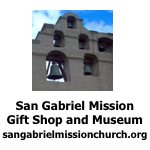 Welcome banners were posted at several intersections on Garvey Avenue in Monterey Park on January 30th and 31st. 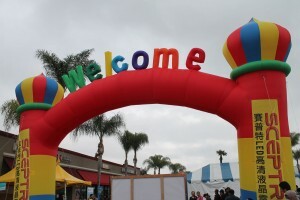 The two-day celebration features over 300 vendors that filled seven blocks with International food booths, Carnival rides, game booths, booths filled with movies, music, books, clothing, art, jewelry, toys, food, plants, flowers and more. 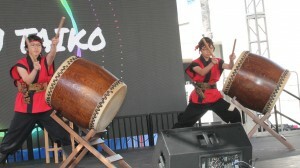 USC Kazan Taiko Drummers opened the event on the main stage. Johnny Thompson, a member of BIDAC, welcomed everyone to this special event support by the Downtown Business Improvement District, the City of Monterey Park and the World Journal newspaper. 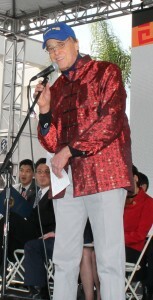 Mayor Peter Chan was the Master of Ceremonies at the Grand Opening. He led our Pledge of Allegiance. 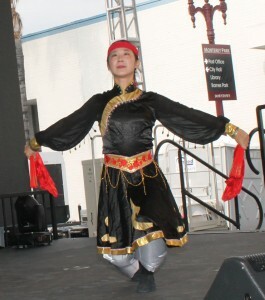 Lani Yu Liang was the Interpreter in Mandarin. Sam Lo sang our National Anthem. Then crowd clapped loudly at this Asian-American celebration in support of our America. Mayor Chan welcomed all to Monterey Park to enjoy the biggest and the best festival for the Golden Monkey 2016. He introduced elected officials that included Congressmember Judy Chu, Congressmember Ed Royce, State Treasurer John Chiang, State Senator Bob Huff, Assemblymember Ed Chau, Assemblymember Young Kim, Trustee Mike Eng, Mayor Pro Tem Mitch Ing, Councilmembers Teresa Real Sebastian, Stephen Lam and Hans Liang, City Clerk Vince Chang, City Treasurer Joseph Leon, Consul Yu Dan from the People’s Republic of China, Director Eric Y Y Hsu from the Taipei Economic and Culture Office, Lawrence Shih representing Supervisor Hilda Solis, former Mayor Anthony Wong, former Mayor Lily Lee Chan, Council General Diego Jaramillo from Ecuador and several Councilmembers from surrounding cities that included Margaret Clark from Rosemead, School Boardmembers Adele Andrade-Stadler and Henry Lo. 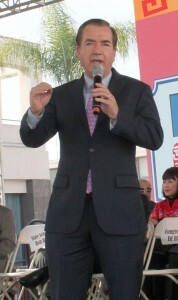 He spoke about the new shopping center and the hotels so we can enjoy living and shopping in Monterey Park. He thanked the World Journal, staff and volunteers. Enjoy and have a Happy New Year! Congressmember Judy Chu recalled serving on the City Council 28 years ago when this celebration was one block long now it is seven blocks long with 300 vendors. She thanked BIDAC, the city and volunteers for this celebration. She presented proclamations to the city and the World Journal in honor of this event. 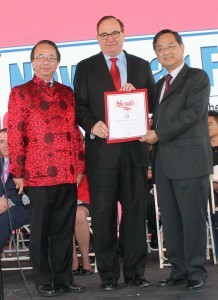 Congressmember Ed Royce called this a great family event in Monterey Park. He and Judy Chu are working with China and America for new prosperity for everyone. 31% of the visas are issued to business travelers who visit our country. He thanked the city and newspaper for this event. 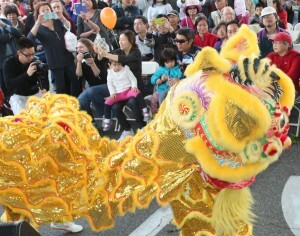 Treasurer John Chiang welcomed everyone to the celebration of the Year of the Monkey. Enjoy the prosperity, good health and happiness. 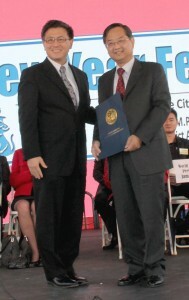 He presented a proclamation to James Guo, President of the World Journal. James Guo thanked the city and BIDAC for this 2016 festival. He congratulated the city on their 100th Anniversary. The city is still growing more with a bright future. It is World Journal’s 14th anniversary. They introduced the Asian culture to America. Enjoy the festival! Enjoy of New Year! Senator Bob Huff thanked the World Journal for this event. This is a special celebration for the Asian community. 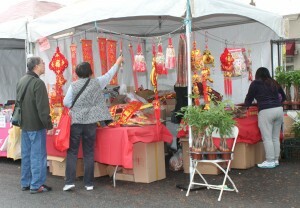 Assemblymember Ed Chau wished everyone a Happy Chinese New Year! 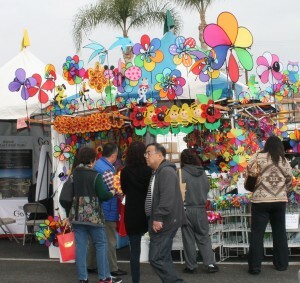 This event has more than 300 vendors. It has grown over the years. He presented proclamations to the city and World Journal in honor of the celebration. Assemblymember Young Kim thanked the community for their support. She stated the Chinese paved the way for other Asians in America. 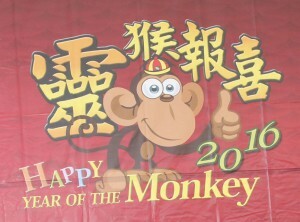 She wished everyone Happiness in the Year of the Fire Monkey! Trustee Mike Eng wished everyone a Happy New Year! You are all part of the Monterey Park family. 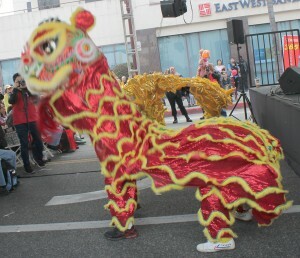 He welcomed the crowd to the friendly city of Monterey Park. Mayor Pro Tem Mitch Ing welcomed all to this festival. We join in the celebration. He thanked the BIDAC and the World Journal. Councilmember Hans Liang was born in the Year of the Monkey. Since the Chinese Zodiac has twelve animals people can tell your age by the sign you were born under. He thanked all of the volunteers and staff. Enjoy! Councilmember Teresa Real Sebastian welcomed all to this event in several Asian languages as well as Spanish and English. Happy New Year! We all come together to celebrate the New Year. 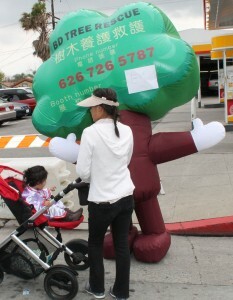 Monterey Park is 100 years young. She invited everyone to join in the celebrations. She thanked the sponsors and volunteers for this event. 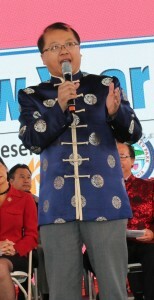 Councilmember Stephen Lam welcomed all to this festival. He served on BIDAC before he was elected to his Council seat. He wished everyone a Happy New Year! He thanked the World Journal and BIDAC for their support of this event. Councilmember Hans Liang welcomed everyone to the Year of the Monkey. He thanked the crowd for coming. He thanked the sponsors and dignitaries for sharing this event with us. Today we celebrate the Asian culture. We are here to celebrate the culture of all of us. City Treasurer Joseph Leon said his wife was born in the Year of the Monkey. Enjoy yourself and have a great day! City Clerk Vince Chang welcomed everyone. Happy New Year! Eat and enjoy today. Please remember to vote. If you are now 18 years old, a new American or changed your residency since the last election you need to register or re-register to vote. The city has a booth for you to register to vote. 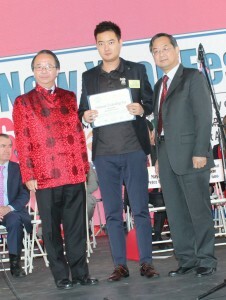 Mayor Peter Chan and James Guo presented a proclamation to Stephen Liu, President of Sceptre for being a major sponsor of this event. Mayor Peter Chan and James Guo presented a proclamation to Troy Cao, Sales Manager of Solarmax Technology Inc. for being a major sponsor of this event. Mayor Peter Chan and James Guo presented a proclamation to Jade Ausmus, VP Branch Manager of CTBC Bank for being a major sponsor of this event. 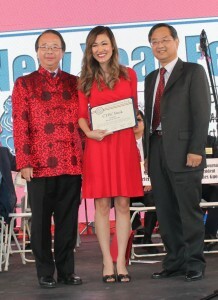 The stage was full of dignitaries who cut the Red Ribbon at the Grand Opening of the Lunar Celebration. 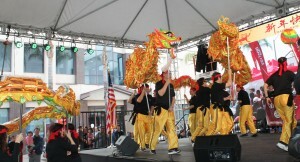 Lions danced in front of the stage to welcome in the Lunar New Year. 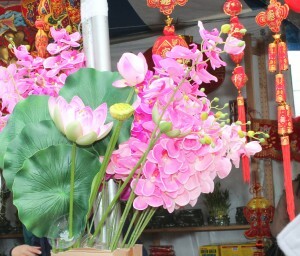 Mayor Peter Chan and James Guo fed them lettuce to bring good luck into the New Year. 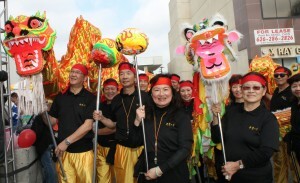 Two Golden Dragons chased the Pearl in front of the stage and around the festival grounds. 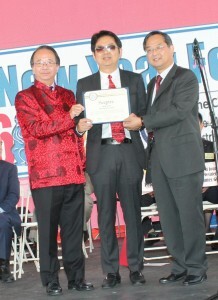 Mayor Peter Chan and James Guo gave them red envelopes as part of the New Year’s celebration. 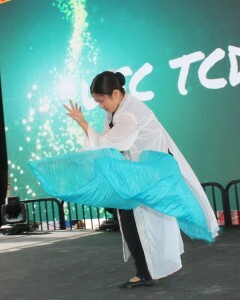 Dancers from the USC TC Dance group performed several folk dances to the delight of the audience. 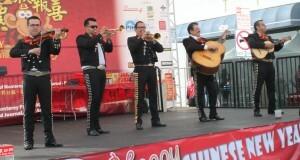 Mariachi music filled the air during this multi-cultured party. Music, dances, info-commercials, stand up comedy and talent shows were some of the live entertainment featured during this two-day event. 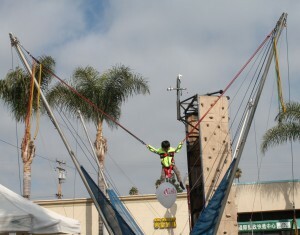 Brave children enjoyed bungee jumping at one of the many booths. 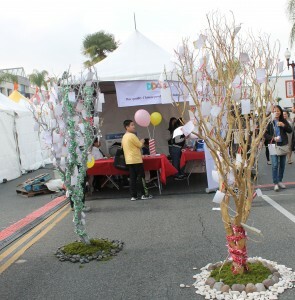 Guests had a chance to place a wish on the Wishing Trees. They asked for good health, happiness and more. 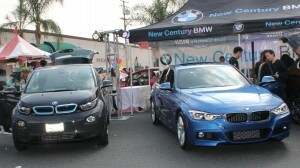 New Century BMW dealer displayed the cars of your dreams for all to inspect and enjoy. 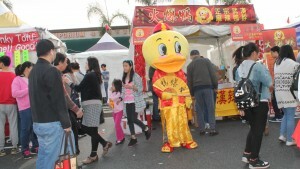 L A Hot Duck stood by his booth to invite guests to enjoy his delicious food. The Tree and his friends enjoyed the party. 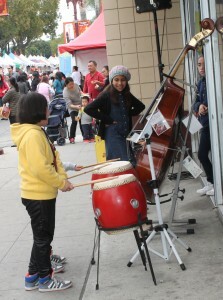 Young children enjoyed playing the drums outside of Johnny Thompson’s Music Store. 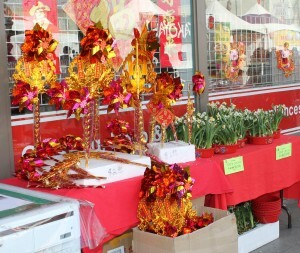 Booths displayed sales information, flowers, plants, gifts, decorations, food and more for the thousands of people who attended the Year of the Monkey Celebration in Monterey Park.